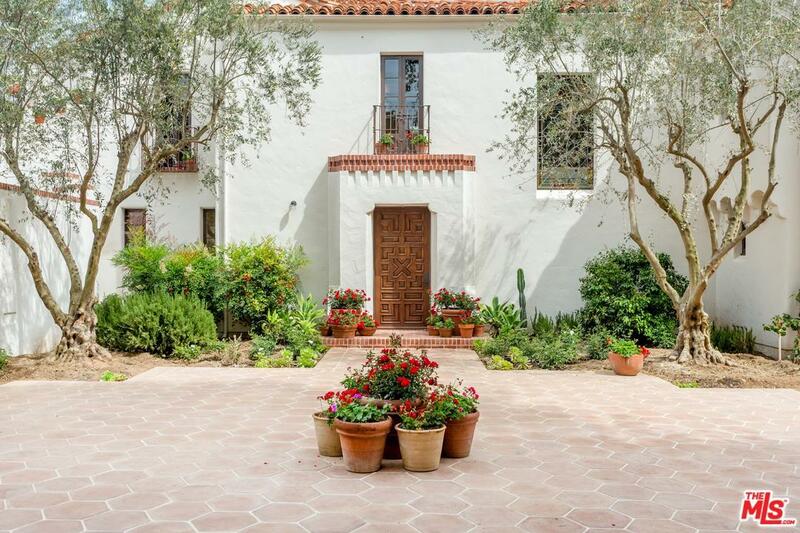 City of Ojai's Historical Landmark Property No. 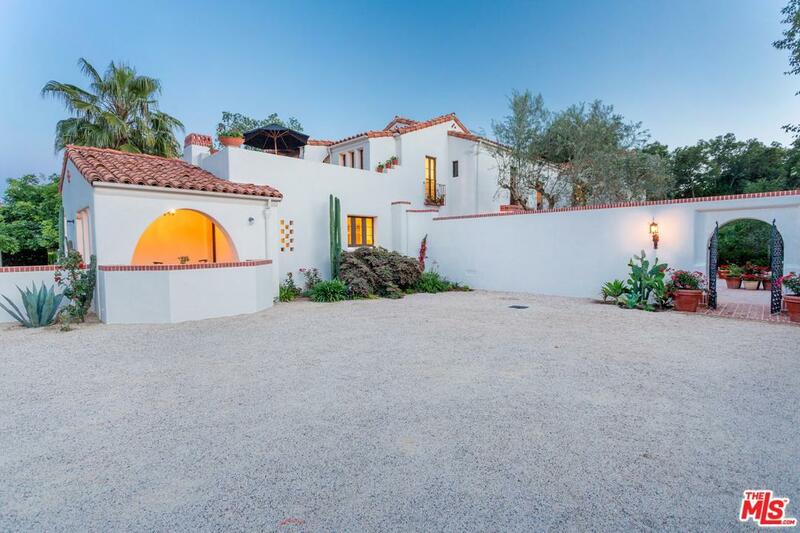 20, Casa del Toro was originally designed by George Washington Smith, as one of Ojai's first commissioned homes in 1921. 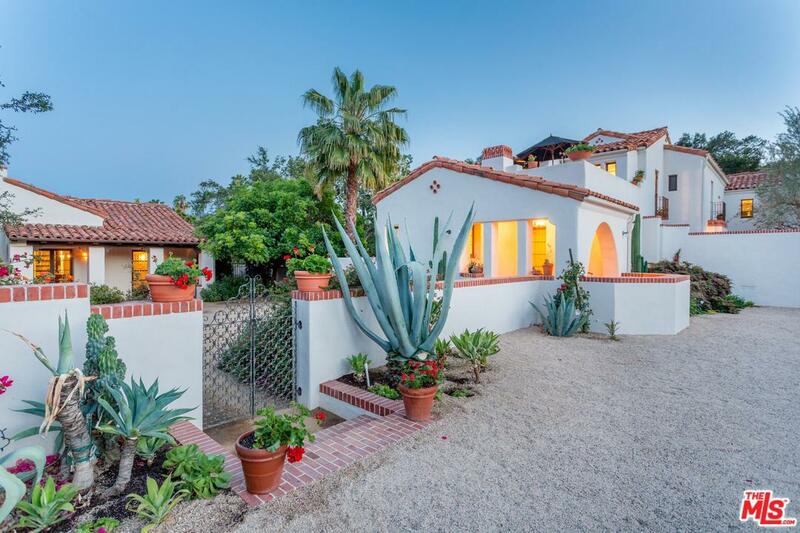 Situated on one of the Arbolada's largest and most coveted lots, Casa del Toro has been re-envisioned by Kevin A. Clark as one of Ojai's most authentic estates, including the addition of two separate structures (studio/library and guest house). The main structure features 5 bedrooms and 5 bathrooms, with large living room featuring adzed beam details, large fireplace, and walls of glass overlooking the formal garden and majestic oak trees. 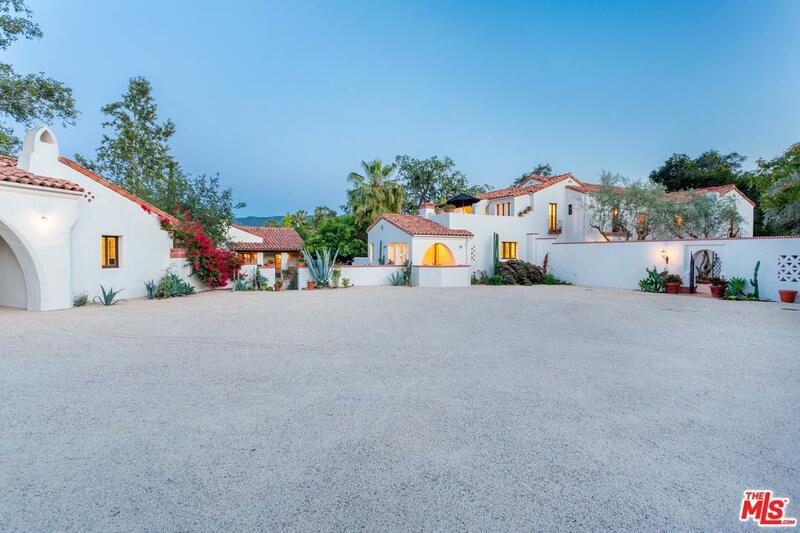 Master suite with sitting room, both having original masonry fireplaces, walk-in closet, and large expansive terrace for views of Ojai Valley's prominent mountain ranges. All new landscape design features formal gardens, citrus trees, patios, and pool with baja shelf and serene spa like setting. The Mills Act allows for significant tax advantages. Sold by Patricia Waltcher BRE#01869702 of Coldwell Banker Propertyshoppe. Listing provided courtesy of Cameron Clark DRE#01869702 of Wish Sotheby's Intl Realty.